“La Vieja Escuela” is situated in Agulo (La Gomera, Islas Canarias). 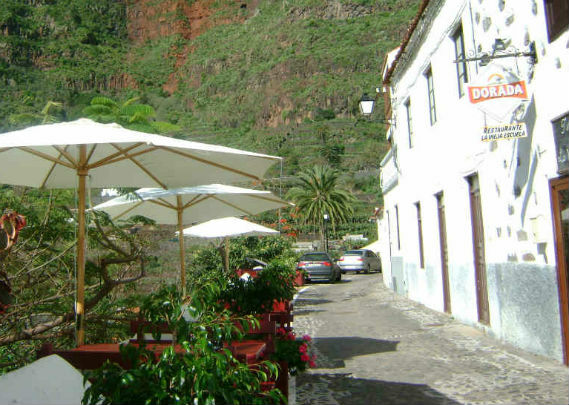 The restaurant in an old traditionally-built house which used to be the town of Agulo´s first school. There are four tables inside and 3 outside with extensive views of the town. Address: Calle Poeta Trujillo, nº 2. Agulo (La Gomera, Islas Canarias). Phone: (0034) 922 146 004. Monday – Saturday: 11:00 – 21:00 h.